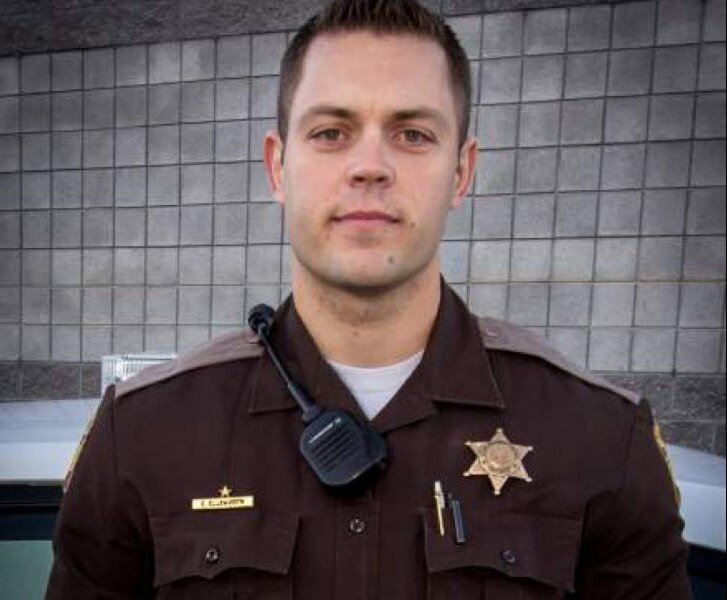 (Courtesy Utah Highway Patrol) Utah Highway Patrol Trooper Eric Ellsworth died from injuries four days after being struck by a car while assisting on a sagging power line in Box Elder County. The widow of a former Utah Highway Patrol trooper is suing Rocky Mountain Power and a teenage girl for the fatal car crash that killed her husband. UHP Trooper Eric Ellsworth was helping with the cleanup of an electrical cable that was sagging over State Route 13 when a car driven by a teenager struck him. Ellsworth died from his injuries four days later. Rocky Mountain Power had been alerted to the drooping cable the evening of Nov. 18, 2016, acording to the lawsuit, but a worker hadn’t arrived when Ellsworth did. The trooper parked on the side of the road and shined his vehicle’s spotlight onto the cable so passing cars could see it. At 8:37 p.m., the cable hadn’t been repaired. Ellsworth stopped a semitrailer truck that, according to the lawsuit, would have snagged the cable if it had attempted to drive under it. “Suddenly and without warning,” the teenage girl’s car struck Ellsworth, the lawsuit states. Janica Ellsworth is requesting compensation for medical bills; funeral, burial and related expenses; past and future lost wages; and “damages for the loss of the care, comfort, companionship, society, guidance, love, affection, association, services and support” Eric Ellsworth would have provided. Janica Ellsworth is requesting a jury trial. Box Elder County in May announced that it had declined to file charges against the teenager. A spokesman from Rocky Mountain Power declined to comment on the lawsuit. Eric Ellsworth, 31, had been a trooper for seven years before he died. He and his wife had three sons together.